You can use any kind meats such as beef, lamb or pork here is another great marinade for the grill! Marinate lamb for 3 hours or overnight. 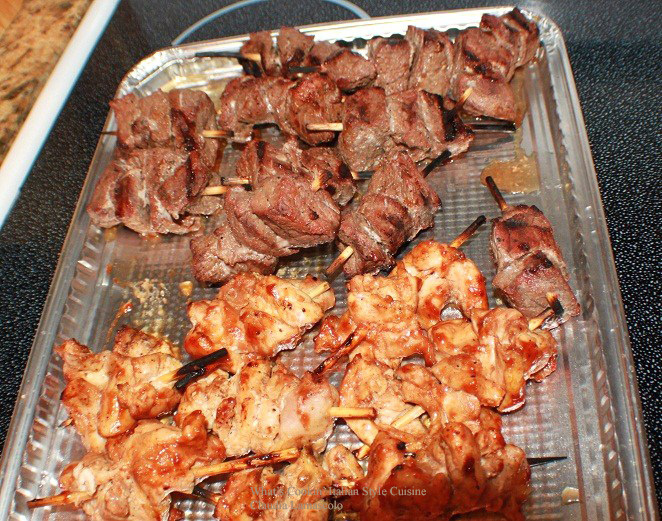 Place on skewers with mushrooms, zucchini, peppers, cherry tomatoes and anything else you like. Grill turning once leaving some pink in the middle of the lamb. What a wonderful marinade. Lamb is well loved in our home! mmmm that looks so good! i can practically smell the rosemary! The perfect ingredients for lamb and I love doing them as kebobs. It's simple, easy and delicious! The marinade sounds simply amazing! Love that you used rosemary.